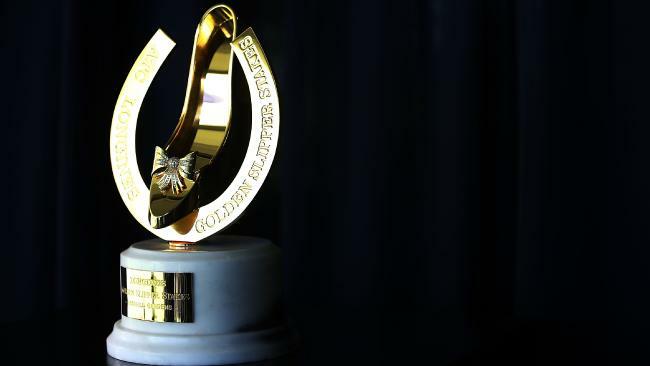 LEADING Golden Slipper contenders Written By and Sunlight have drawn next to each other in Saturday's $3.5m race at Rosehill Gardens. The pair will be eyeballing each other from gates four and five respectively while other favoured runner Performer didn't fare so well. Hugh Bowman will be have to be at his world-rated best to get him over line from gate 16. Trainer Tony McEvoy was happy with Sunlight's fortunes at the draw and jockey Luke Currie shouldn't have much trouble finding a nice spot for the Zoustar filly. "Luke's job has been made a little easier by the draw," McEvoy said. Sunlight remained the $4.20 favourite for the race with Written By staying at $4.80. Estijaab didn't fare well and she drifted from $9 to $11 after drawing out wide in gate 17, but she's got the best early speed and should be able get across. "There wasn't a great deal of change after the barrier draw with a lot of the favourites drawing alongside each other," TAB's Glenn Munsie said. "The big winner was Sandbar, who firmed from $17, to $13 then $11 after drawing barrier four with a one bet of $1,200 at $13."